Reaches heights from seat 18" to 23"
Foldable, rigidify headrest. Patented universal technology. 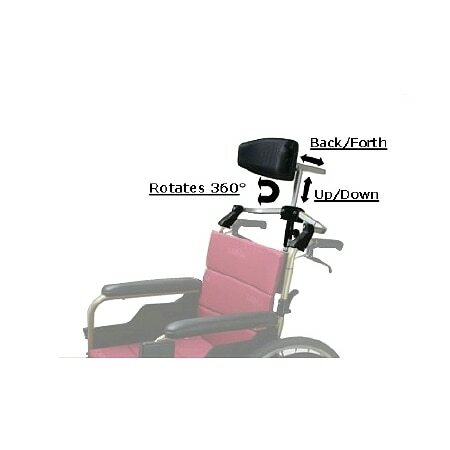 Fits any wheelchair with a 7/8 inch frame.